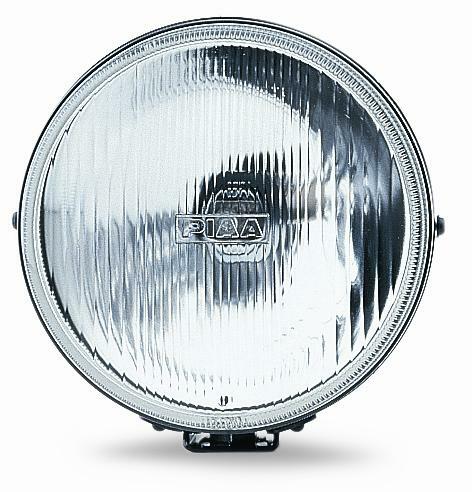 PIAA Lamps - 40 Round Series - Lightning Motorsports - Selling Speed since 1996 ! The PIAA 40 Round Style Clear Driving light enhances your vehicle’s high beams and give you improved illumination far ahead of your vehicle. It features black stamped-steel, corrosion-resistant housing, a prism-cut glass lens for optimum clarity, and a powerful 12V-H3 55 watt quartz halogen bulb. The kit comes complete with two lights, pre-assembled wiring harness, relay, switch, and two white light covers with black lettering. Durability, dependability, and reliability make the 4062 kit the best value in the market today. The 4062 is unmatched due to its value-to-performance ratio.